FREEBIE! 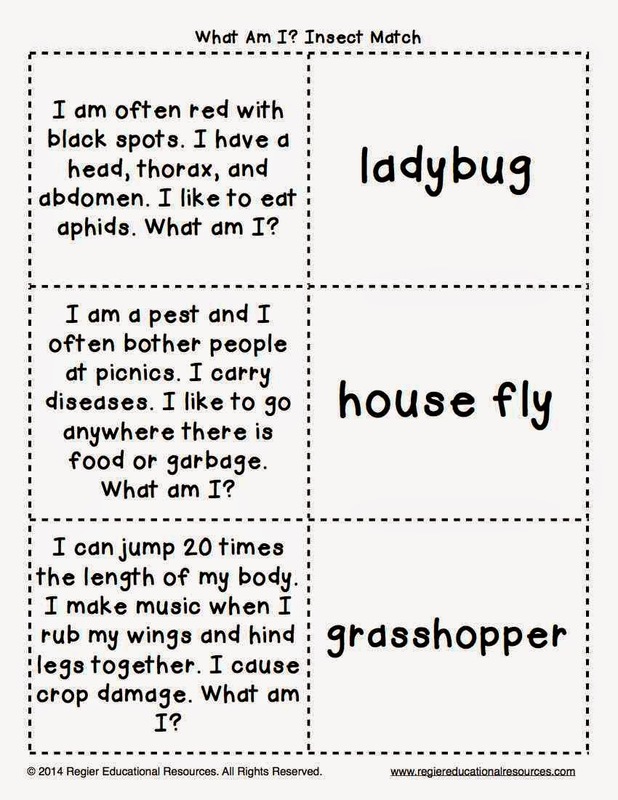 Use insect “What Am I?” riddles to engage the students in your classroom! 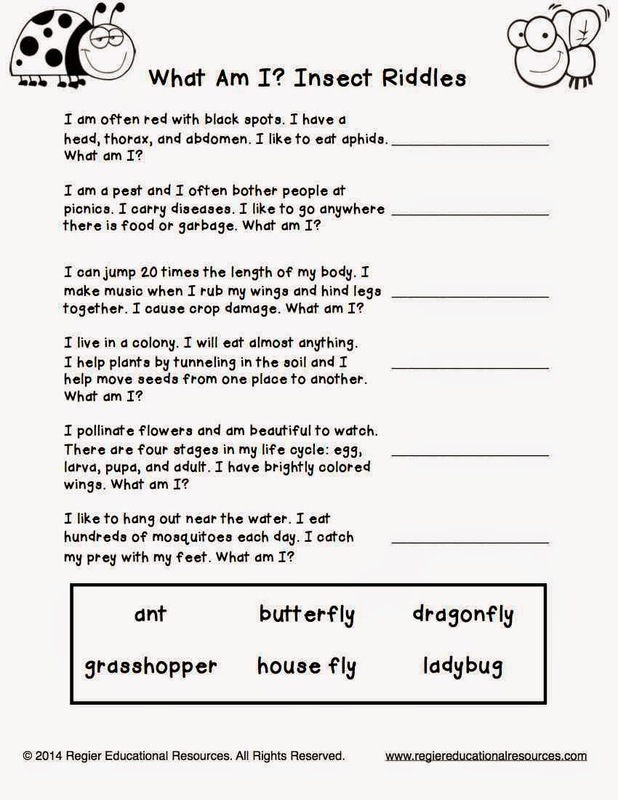 A variety of formats are provided to meet the needs of the students in your class. 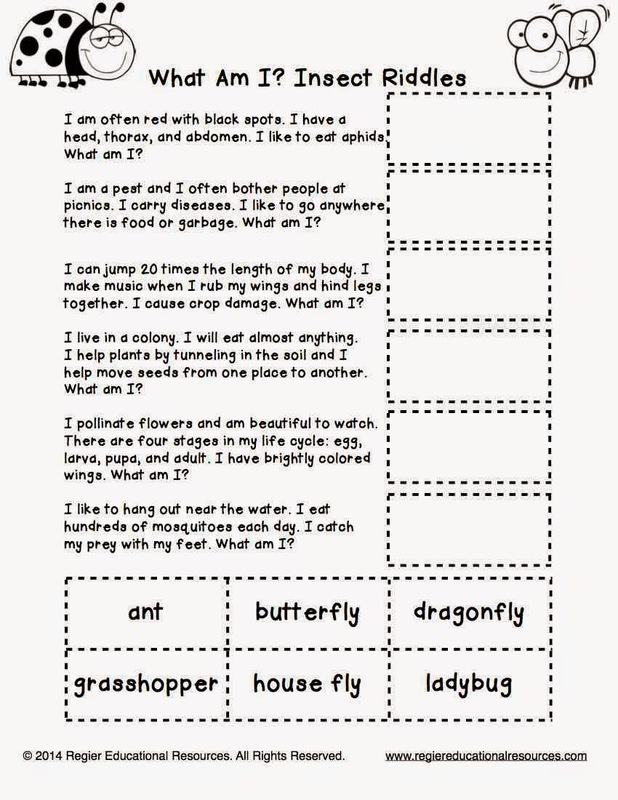 an activity sheet with a word bank. 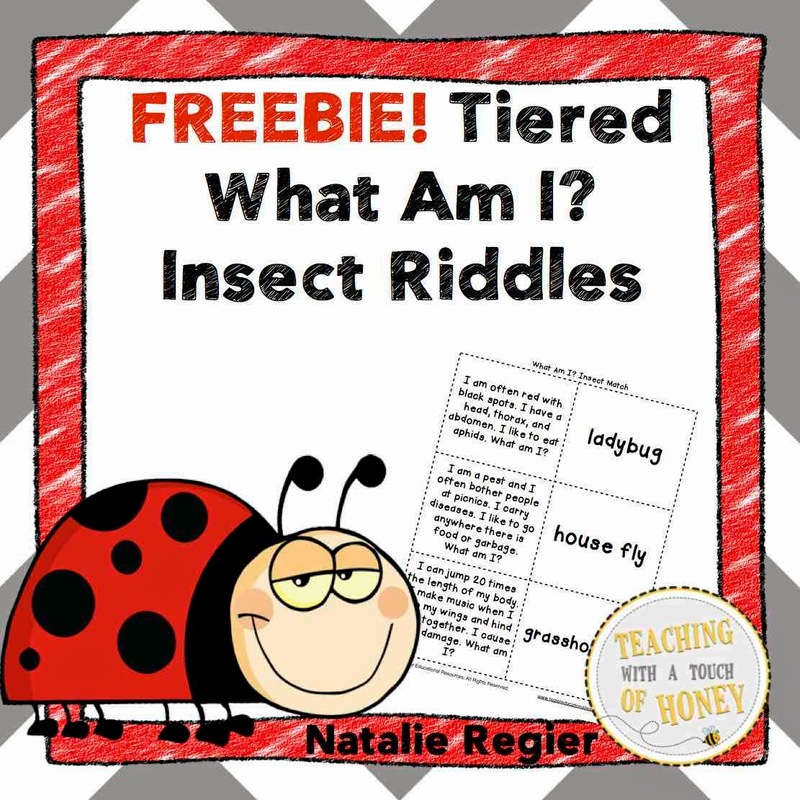 An answer key is also included in this package.